Adam Bryant conducts interviews of senior-level executives that appear in his “Corner Office” column each week in the SundayBusiness section of The New York Times. 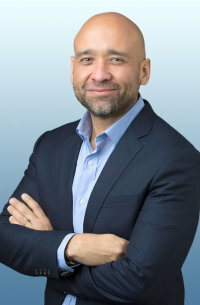 Here are a few insights provided during an interview of David Cancel, C.E.O. of Drift, a sales communication platform. To read the complete interview, check out other articles, and obtain subscription information, please click here. Both my parents worked for themselves. My dad was a contractor, and my mom was a seamstress. She did mostly wedding gowns. The only thing they ever wanted from me is the thing I never did, which is to be an accountant. In my mom’s mind, being an accountant meant I would wear a suit and ride the train to work and have a briefcase. I had a million jobs growing up — everything from paperboy to working in warehouses. In a lot of those jobs, they asked me to be the manager or the group leader. I think most of it was because of my parents. I like having autonomy, and the flip side of autonomy is accountability. When most people say they want autonomy, they really just want anarchy, with no accountability. I want extreme autonomy, and the accountability that comes with it. That usually projects some leadership capability. What were some other early lessons for you? I had a formative experience working in one of the warehouses in Woodside before college. We sold health and beauty aids. I became a manager quickly. I was the only one who was not from either Taiwan or mainland China. It was formative because the owner was this Taiwanese man, Sam, who had come over here and had started many businesses that were very successful. He would always say he was the manager, but I got to know him well and learned that he actually owned all these companies. He spent time trying to nurture this entrepreneurial side of me. He would give me new opportunities and do things to stretch me. He would let me fail a little bit, and then come in and try to teach me in a kind of stern but also loving way. So how has your management style evolved? I had two phases in my career. The first was the conventional wisdom phase. I would ask people how they manage, and there might be a few lessons in business books or magazines. I was trying to follow what other people said about projecting leadership and dominance. Then I got to a point in my career where I realized that none of that was actually working. When I was about 27, I started to think about those early lessons from Sam at the warehouse. He did none of the things that people were telling me to do. And so I started to adopt the concepts I learned from Sam.